David Price had no business winning a postseason start for the first time in Game 5 of the American League Championship Series. He did anyway, and the Boston Red Sox are going back to the World Series. 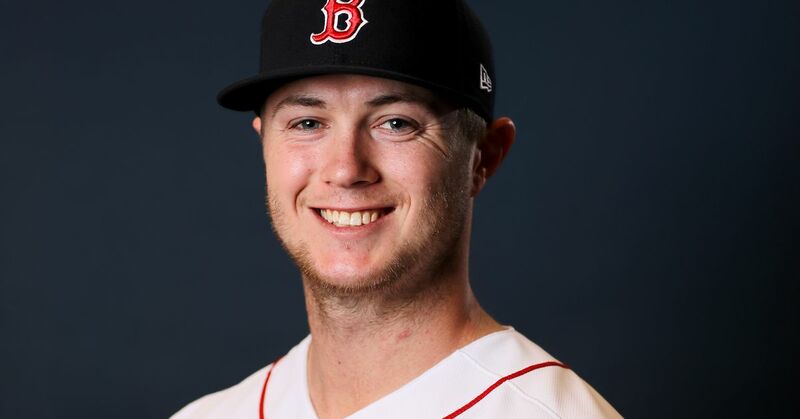 Technically, Boston's $217 million ace went into his Thursday assignment against the Houston Astros at Minute Maid Park on three days' rest. In actuality, it was less than 24 hours. Price had warmed up in both the eighth and ninth innings of Boston's 8-6 Game 4 win, throwing many pitches in the process. Then there's the opposition he was up against. The Astros were the reigning champs, and they'd be countering the left-hander with a lineup full of dangerous right-handed hitters. Also, veteran ace and postseason legend Justin Verlander would be on the hill for the home team. In light of all this, it would have been understandable if Price's career playoff ERA went up from 5.42. Heck, even his strongest detractors might have given him a pass for it. Here's what happened instead: Price dazzled with six scoreless innings, and the Red Sox won handily, 4-1. J.D. Martinez and Rafael Devers are also deserving of major props. They supplied all of the Red Sox's offense—the former with a solo home run in the third inning, and the latter with a three-run homer in the sixth. Nathan Eovaldi and Craig Kimbrel deserve props of their own. After Marwin Gonzalez's solo homer off Matt Barnes narrowed Boston's lead, they came in and allowed two baserunners while picking up the final seven outs. Homage must also be paid to Houston's heroes. For Game 5, Verlander is chief among them despite the loss. His performance won't rank with the best of his storied career, but he pitched better than his final line (four runs in six innings) indicates. For that matter, the Astros played better in this ALCS than history is bound to remember. They routed the Red Sox in Game 1 at Fenway Park, and they could have won Games 2, 4 and 5. That goes double for Game 4, which was an instant classic with seemingly millions of twists and turns. And yet, the Red Sox are moving on. It's easy to say now, but of course they are. These Red Sox won a franchise-record 108 games in the regular season. Starting with the New York Yankees, they've dispatched not one, but two fellow 100-win teams in October. There was no way they were going to do it without contributions from all over. Lucky for them, they have stars well beyond Martinez, Mookie Betts, Chris Sale and ALCS MVP Jackie Bradley Jr.
At this moment, however, Price is the Red Sox player who deserves a pedestal. Price may be an AL Cy Young Award winner and two-time AL ERA champion, but it was nearly impossible to coat his postseason track record in sugar before Thursday. Exactly one of his 11 playoff starts featured more than six innings pitched and two or fewer runs allowed. And while there weren't many glaring differences between his regular-season peripherals and his postseason peripherals, there was this one: He'd allowed 1.7 homers per nine innings in the playoffs, compared to 0.9 otherwise. How to explain all this? Good question. Price obviously had it in him to be a great pitcher in October. For whatever reason, he just...wasn't. In any case, what matters now is how Price broke his postseason curse. Put simply: He threw the heck out of the ball and didn't give Astros hitters a single inch. Despite basically not getting any rest ahead of Game 5, Price had a fastball that sat at 94 mph and climbed as high as 96 mph. He rarely had that kind of average velocity or maximum velocity this season. The 33-year-old also brought one hell of a changeup to play with. He expertly kept it on the same plane as his hard stuff, right up until the bottom dropped out of it as it entered the hitting zone. Price collected 12 swings and misses on his changeup alone and 15 total. The latter shattered his previous career high (12) for whiffs in a playoff game. In addition to keeping Astros hitters off balance, Price attacked the strike zone with a vengeance. He threw first-pitch strikes to 14 of the 21 batters he faced and ended up with 65 strikes out of 93 total pitches. That's a rate of 70 percent. In short, the Red Sox got vintage Price in Game 5. This is arguably a first for his three seasons with the team, which have been frequently marked by subpar stuff and command. But better late than never, as they say, and both Price and the Red Sox have every reason to feel thrilled about it. Price just cut down all his postseason demons with one fell swoop. The Red Sox have won as many American League pennants since 2004 as they did from 1919 to 2003 (four). If Price has any more where that came from, they may not have much trouble overcoming either the Los Angeles Dodgers or Milwaukee Brewers to claim their fourth World Series championship since 2004. Good stuff for a player and team that people used to think were cursed.